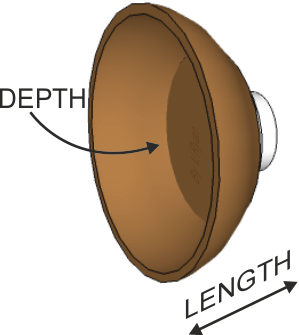 Bowl turning is normally performed at the swivel rest side of the lathe (see below). This is because the lathe operator uses a gouge to remove wood along the ‘blanks’ length, forming the external shape and to a depth, forming the internal shape. Working on a blank at the ‘end’ of the lathe, makes this process easier and safer. A faceplate is used to securely hold a ‘blank’ piece of wood, so that it can be turned into a product such as a bowl.